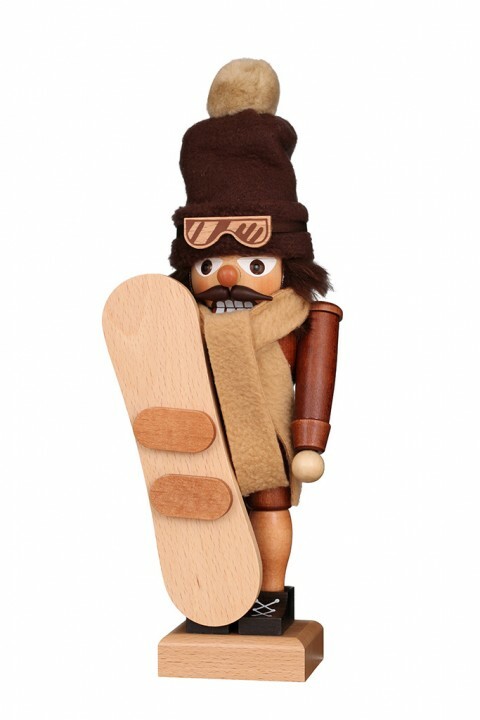 On the way to the piste is the natural nutcracker. He will be on the road all day with the board. His big thick hat and the cuddly scarf protect the sporty fellow in snow and cold.